Please share this post!!! Spread the word of the Weird!!! For one day only, this Sunday February 12th from 10am-6pm. Embassy Suiteses by Hilton Seattle North Lynnwood . 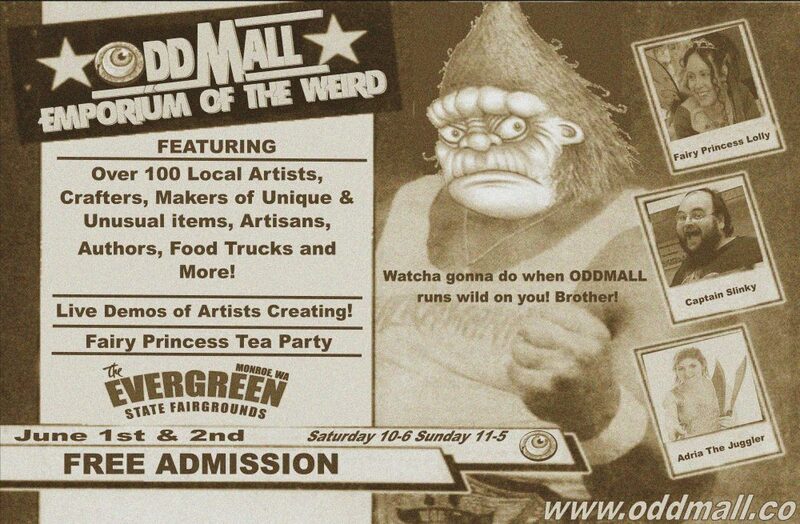 Oddmall Emporium of the Weird PNW returns to Lynnwood for the first time since 2013. Shop for the perfect gift for your sweetheart at Oddmall:Strange Love. Our first ever Valentine’s Show. Featuring over 90 local artists, crafters, authors, entertainers and more!